So. On to papercrafting! The card I created this morning is going into 3 challenges. When I was browsing the challenge blogs this morning, these 3 seemed to fit together so well for the birthday card that I needed to make. Take a look. New year….new ‘toys’…..new techniques. Do or use something NEW on your card/project. This is the very fun card that I created. Well...fun for ME at least! I hope my nephew likes it. Oh. And don't tell him that I told you his age. Okay? In my most recent PTI order, I got the By The Numbers stamp set, dies and the impression plate (thanks to some Christmas gift money from my Sis - thank you!). So those items and a My Mind's Eye 8 x 8 patterned paper pad were the new items that qualify this card for the C4C#118 challenge. And then. How about those colors in the PDCC challenge photo? Love them. They're described as Juniper, Mint and Vanilla. 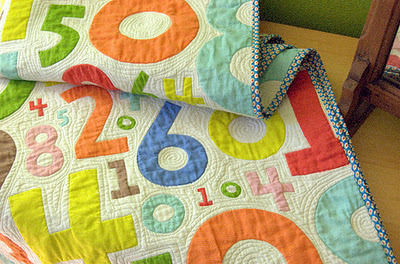 And last, but far from least...I couldn't resist the inspiration provided by Cath, in that numbers quilt. I've included links (above) to all of the blogs, so that you can go see all of the details for each challenge. P.S. To all of you that read my blog posts in an email. Just in case you don't know, at the bottom of the email you will see the title of my blog in small print. If you click on that, it will open your browser and go directly to the current blog post. You'll be able to see all of the other info that I have displayed in my sidebar, and the other page of my blog. There is a Home page and a Recognition page. You can also look through the archives at older posts. And, once you're at my blog, if you click on my blog title Inspired By Nature (at the top of the screen)...it will bring up all of my recent blog posts. Absolutely stunning card, your nephew ( who is still a youngun ) will be thrilled I am sure to get it! A really lovely card! Love the number impressions and the clean look of your sentiment! Perfect card for all the challenges, you really have risen to the occasion! Your nephew will love it! Great birthday card! Love the embossing and all the numbers...great job! Am sure your nephew will love this bday card. And, happy bday to your nephew! Such a great card, Susie! 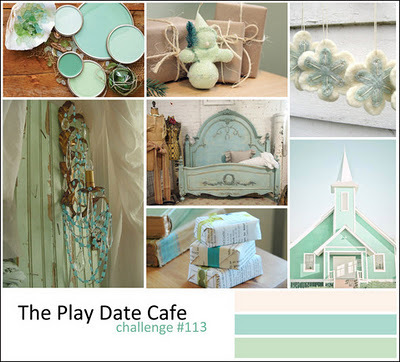 Lovin' all that play off numbers, and you've done fabulously combining the colors of our challenge! Thanks so much for playing along with us this week at The Play Date Cafe!